Warren William Zevon (January 24, 1947 - September 7, 2003) was an American rock singer-songwriter and musician noted for including his strange, sardonic opinions of life in his musical lyrics, composing songs that were sometimes humorous and often had political or historical themes. Zevon's work has often been complimented by well-known musicians, including Jackson Browne, Bruce Springsteen, Bob Dylan, and Neil Young. His best-known compositions include "Werewolves of London", "Lawyers, Guns and Money", "Roland the Headless Thompson Gunner" and "Johnny Strikes Up The Band", all of which are featured on his 1978 sophomore release, Excitable Boy. Other well-known songs written by Zevon have been recorded by other artists, including "Poor Poor Pitiful Me" (a top 40 hit by Linda Ronstadt), "Accidentally Like a Martyr", "Mohammed's Radio", "Carmelita", and "Hasten Down the Wind". 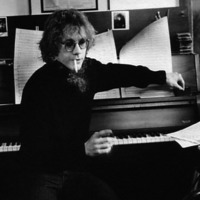 Along with his own compositions, Zevon recorded or performed occasional covers, including Bob Dylan's "Knockin' on Heaven's Door" and Leonard Cohen's "First We Take Manhattan". He was a frequent guest on Late Night with David Letterman and the Late Show with David Letterman. Letterman later performed guest vocals on "Hit Somebody! (The Hockey Song)" with Paul Shaffer and members of the CBS Orchestra.